Dreaming of Dolls: Mini Kirsten and the Lightning Tour of the Mid-West! 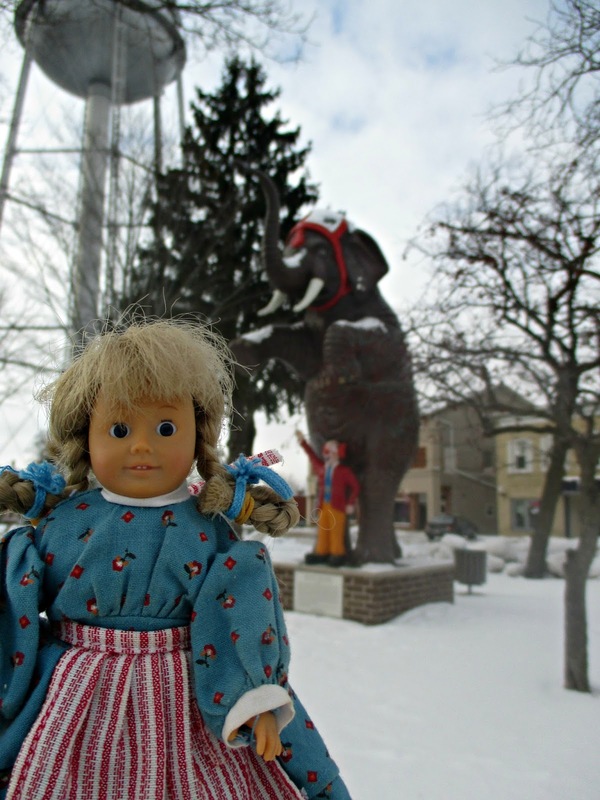 Mini Kirsten and the Lightning Tour of the Mid-West! Mini Kirsten just did a three day tour of the Midwest. She got to visit three states! 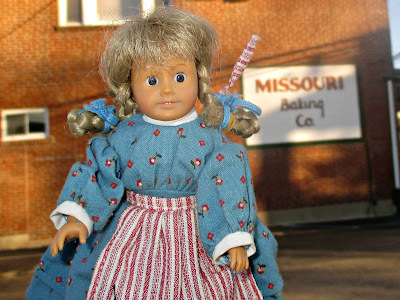 First she visited St. Louis, Missouri, where Girl of the Year Lea Clark is from. She went to an area of St. Louis called the Hill, where there are lots of Italian restaurants. In the Hill, she went to the Missouri Baking Company. There were so many delicious things to eat! She thought it was even better than Mama's cooking. 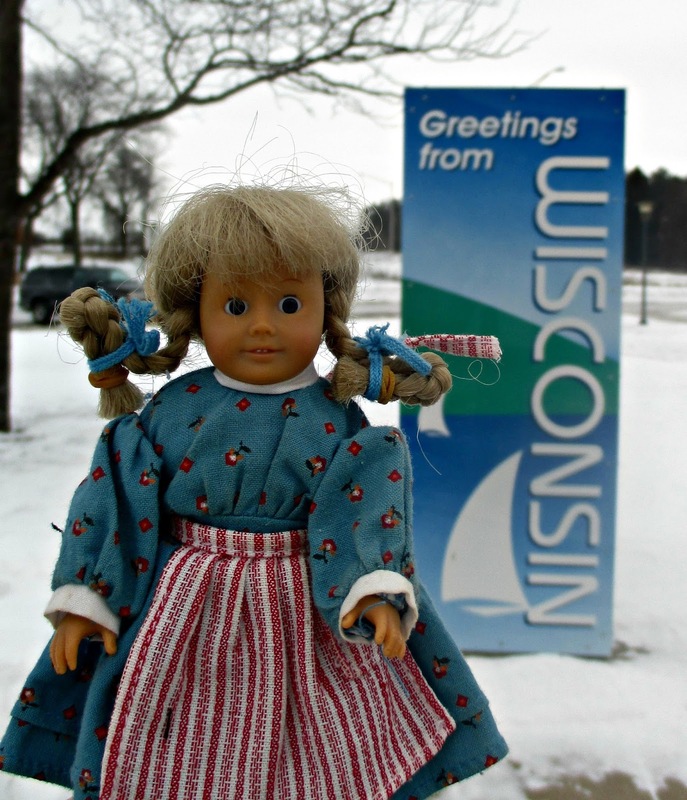 Next she went to Wisconsin. 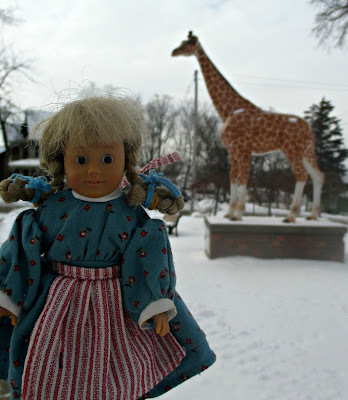 The snow reminded Kirsten of Minnesota! 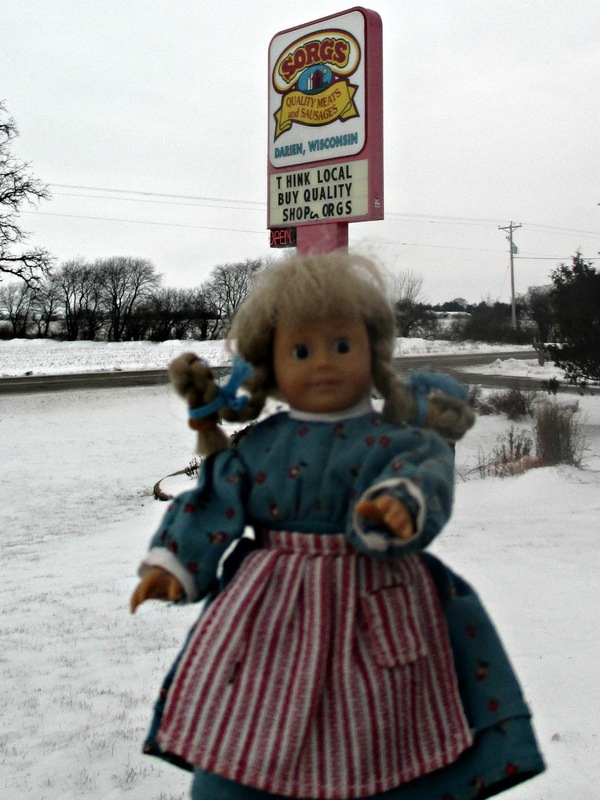 She bought some delicious meat and cheese in Wisconsin! Next, mini Kirsten went to Delavan, Wisconsin. 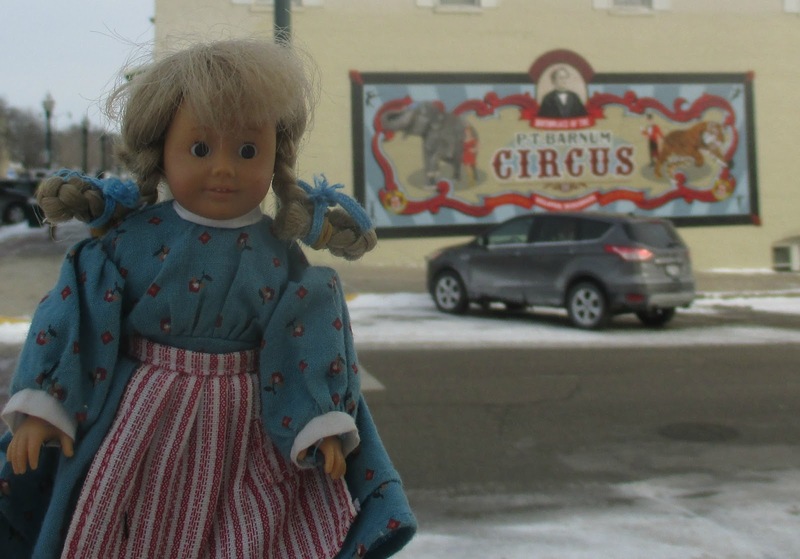 This town was the Nineteenth-Century Circus Capital of the World. There are lots of places where you can see the city's past. This is a statue of a famous circus elephant named Romeo. There is also a statue of a giraffe! The giraffe does not have a name, so we called him Sven. Mini Kirsten visited a quilt shop in Salem, Wisconsin! 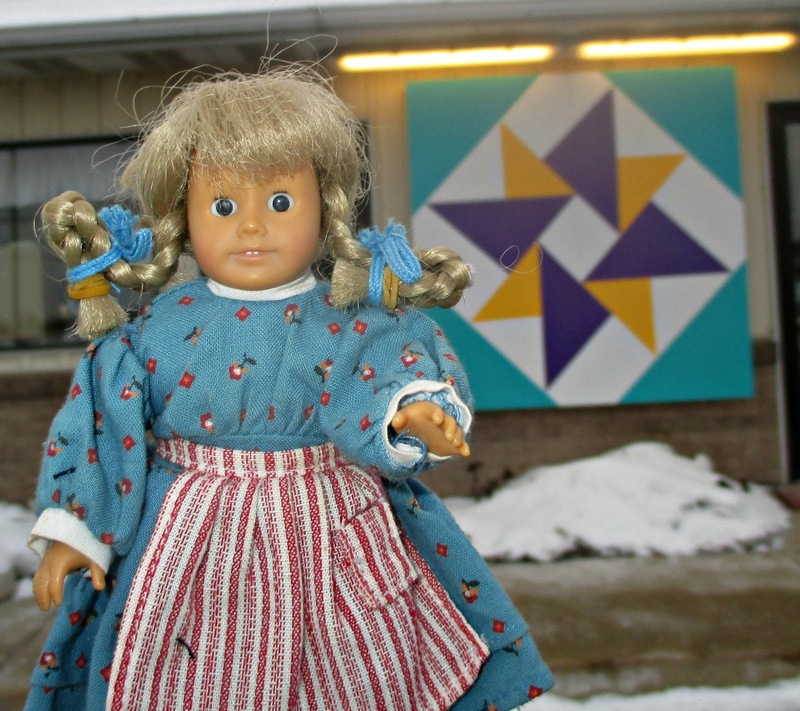 She saw many pretty quilts that she would like to learn to sew. 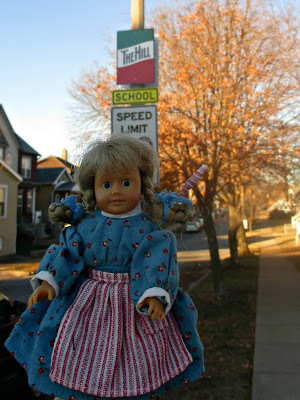 Last, mini Kirsten went to Illinois. She met Kit in Illinois! 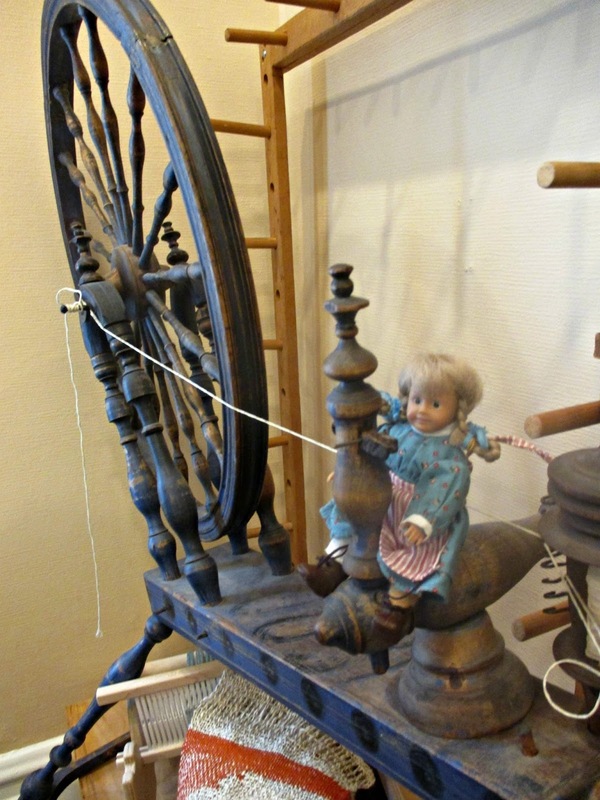 Mini Kirsten also tried to use this spinning wheel at a yarn shop, but her arms were not long enough. 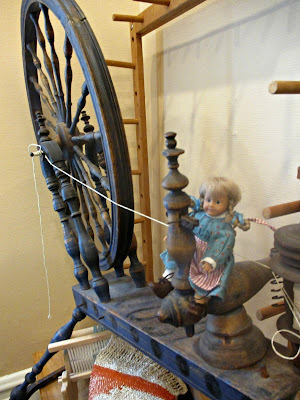 Kirsten had a lot of fun and hopes to do more traveling in the future! 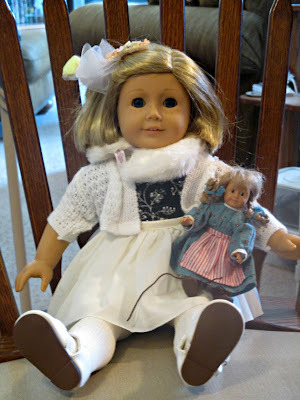 EEE I'm so jealous mini Kirsten! It was really a fun trip!